I stopped by SXSW this year but Sonic wasn’t the only thing I saw. I made an effort to check out the Student Showcase. Why? Because I love video games and I want to play things that you won’t see at your local GameStop. The games at the Student Showcase are humble labors of love crafted by college students in dorm rooms with a copy of Unity. Some of them are capstone projects, some of them are spare-time passion projects. These games aren’t AAA blockbusters that will get an ad in next years’ Super Bowl. These are unique creations, limited by their budget, but not their creativity. Let’s look at what I found. 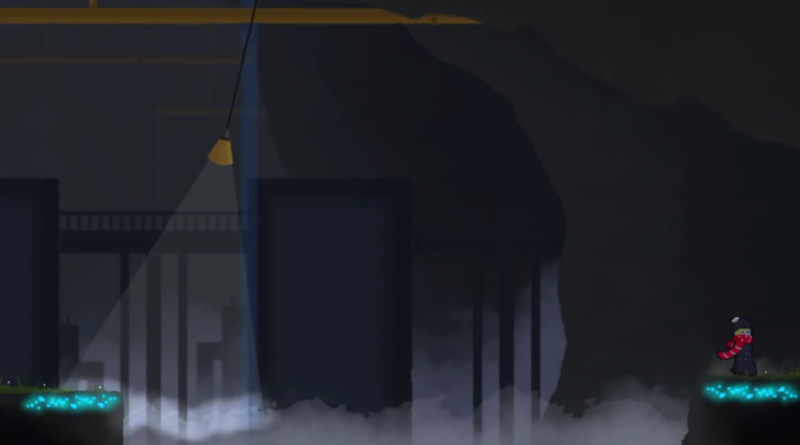 Blink is a 2D Platformer, but with a twist. You can walk on light (specifically, after-images of light). However, the light is only visible in an alternate world. You have to manually switch between the “real world” and a parallel world of after images, which is the game’s main mechanic. Think of it similar to Wolf Link’s twilight vision in The Legend of Zelda Twilight Princess, where you can see things you couldn’t see otherwise. 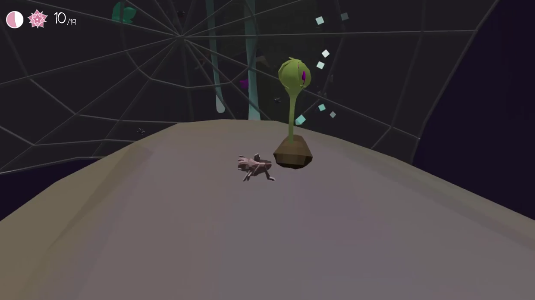 Unlike Zelda, switching between realms in Blink is much quicker and seamless. You are essentially “blinking” back and forth between two versions of the same world strategically to solve puzzles. In my experience, it took me a second to understand the main mechanic. You’re probably going to die a lot at first. But there comes a point where you have the “aha” movement and realize what’s going on. Once it clicks, you’ll start forming solutions to the puzzles. From what little I played, the game seems to hint at a developed narrative with deep lore and mystery. After the main introduction level, I entered a town and talked to lots of NPC’s. Not all developers that would make a game like this would bother putting much effort into the story and worldizing, so props to nextReality games for going to that length. The soundtrack consists of a moody score done entirely on piano. It’s sparse and atmospheric, but still manages to be melodic and concrete. As a musician, I’m always happy to hear melody in games, as too many modern games feature tuneless filler and abstract drones/pads. Epitaph is easily the most refreshing fighting game I’ve played in a while. The game is shown completely from a side-scroller perspective like a traditional fighting game, like Street Fighter or Smash Bros, but you don’t control a single character. Rather, you are responsible for a team of three. Your team moves on a grid like a chess board quickly trying to grab an advantageous position. Your character’s attacks have a cool-down, so you must switch between characters quickly to keep up the pace. You can also chain combos together, combining the attacks of two or more party members. 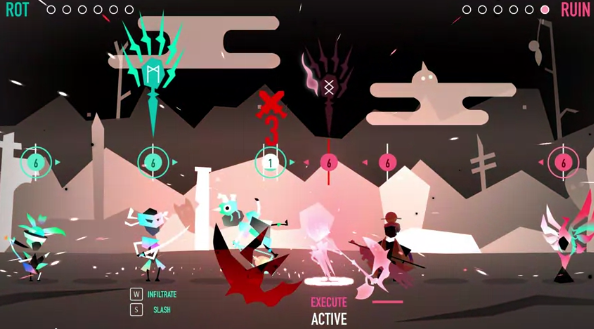 The system is unique in that it is reminiscent of a turn-based RPG, but is always done in real time. This is a game that I feel has an intense skill-ceiling. The game is very tactical and gets intense pretty fast.The amount of room that is open for nuance and meta-game is high. This game deserves to be played at a tournament level, as I’d imagine that professional matches would be high-stakes. In the AAA world, games like Crash Bandicoot: N-Sane Trilogy are seen as revival of a forgotten genre. In the indie-scape, platformers never left as small developers have obstinately held that torch through every barrage of brown-palette first person shooters. But when it comes to 3D platformers, a genre all about jumping and hopping, it’s surprising that there aren’t more games about grasshoppers. The thing is, a grasshopper’s leap is halfway in between a jump and flight. Appropriately so, Grassdancer capitalizes on this. I feel that most platformers are based around short hops, but Grassdancer’s jump is bordering on overpowered (in a good way). So the developers put in a sort of fail-safe button, that quickens your descent and lessens the strength of your jump mid-arch. As such, this adds a layer of strategy to your jump that involves fine-tuning your altitude, interacting with the physics of the level geometry. The game’s audio is running through Audiokinetic’s software Wwise. Using some of the middle-ware’s features, the soundtrack was rather dynamic, switching between vignettes rather often. These games are all available for download. Unlike the general gaming audience, you now know about them. Check them out if you’re interested, and give them some love. Let me know, do you think any of these games look interesting? If you had to pick, which one would you play?